Find a Buddy – Choose a family member, friend, or co-worker. Mark Your Calendar – On the 3rd of each month, mark your calendar as a reminder using your Buddy Check 3 stickers. Call your Buddy – Remind each other to do your breast self-exam. If you find a lump or any other suspicious sign, contact your physician as soon as possible. A physician should check a breast lump or any other suspicious sign as soon as possible. Three-fourths of all breast lumps are benign. If a lump does turn out to be cancer, early diagnosis and treatment give women the best possible chance for a cure. In addition to seeing a physician to investigate symptoms of breast cancer, a woman should undergo a routine physical breast examination with her doctor. To order your Buddy Check 3 packet, please call St Joseph’s-Candler at 912-819-7053. A cancer diagnosis can force you to redefine yourself, and that's exactly what happened to one local military wife. The Chatham County Health Department's Breast and Cervical Cancer Program (BCCP) is partnering with the St. Joseph's/Candler Mobile Mammography Program to offer free mammograms on Jan. 14 from 9 a.m.-3 p.m. at the Chatham County Health Department, 1395 Eisenhower Drive. A 9-year-old from Bulloch County has a special Christmas wish this year. Carmen Allen says she wants to feel good and be happy as long as she can. Groves High School students are doing their part in the fight against breast cancer. 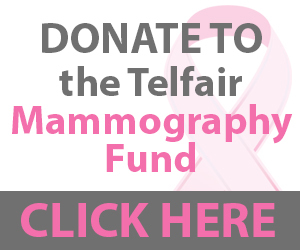 For the third year in a row, the Beta Club raised money during Breast Cancer Awareness Month in order to make a donation to the Mary Telfair Mammography Fund.